Adam has been working in and around the Film Industry for the past decade primarily as an actor but also a casting associate, talent agent, scene coach, screenwriter, and producer. 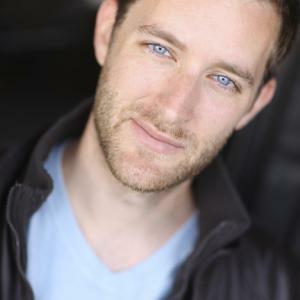 He is a graduate of The Second City Training center in Chicago and combines Improv with Meisner Technique in his acting approach. Before acting took hold of his interests, he graduated from Louisiana State University with a degree in Secondary Education, English. While never becoming a full-time English teacher, he continues to pursue teaching opportunities through coaching young actors. He lives, works, and writes from Baton Rouge, LA and is using blcklst to test the waters of his Feature Scripts. Adam has written numerous staged sketch/variety shows, 16 webisodes for two different series, three short films, and three feature films. His most recent short film, HUEVOS RANCHEROS, has been making rounds in the festival circuit in 2017. This LGBT centric short film premiered at Cayman International Film Festival and has gone on to 7 other festivals thus far, winning the Indie Spirit award at the Windy City Film Fest in Chicago. A cancer-ridden English teacher and an adopted Korean teenager cross paths in Chicago while searching for identity and relationships that define family.